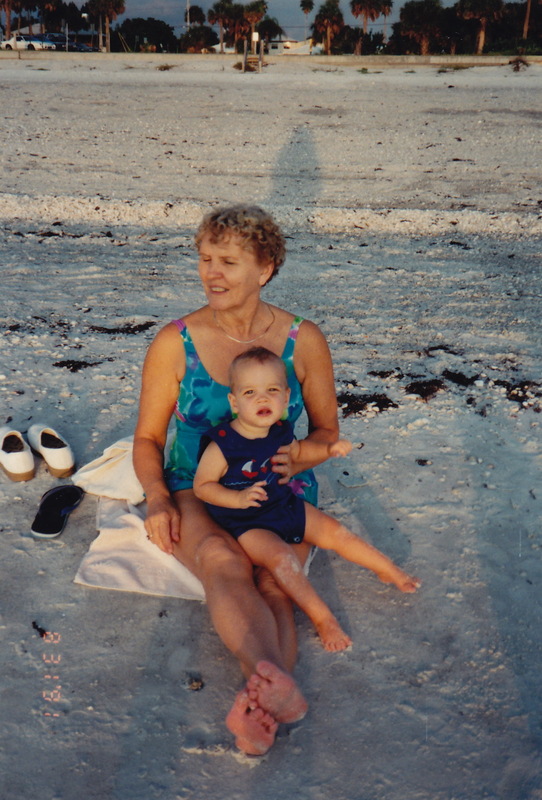 It's been one whole year today and it's still so inconceivable that my mother is "gone". When someone is so much a part of your life it's hard to grasp that fact that they really aren't "here" anymore. So many times this year I've thought, "I'll call mom and ask her what the name of that song is." or "I'll call mom and ask her the name of that composer." or "I need to ask her what that recipe is." or "Carol and I should call mom and play our duet for her. She'd love it!" And so many other things whether it was about what she experienced with menopause or what she thought about a certain thing or just to tell her how much I love and appreciate her. Truly I've been an emotional wreck in many ways. Yes, of course I am so happy that she is with the Lord and having all her questions answered and isn't having any more physical ailments. But that just doesn't lessen the pain and the hole in my heart. I believe there is a God-shaped hole in us that can only be filled by the One True God. But now I also believe there is a "Mom"-shaped hole too. This was one of my mom's favorite verses. There were many things in the Bible she didn't understand but she always came back to this verse and it always gave her comfort. This verse has come to have a new meaning to me. So many times over the past year I've asked the Lord, "Why". She was so young! 77. She was always so vibrant and full of life, ready to go and do. I know she had slowed down some over the last year or 2 but to be taken so suddenly seems so "unfair"! What is fair? Fair is God's perfect ways and timing. This has been my comfort. When I'm overwhelmed with grief and confusion, I gain peace in knowing that TRULY, our loving Father's ways are much better and much higher even though we can't see it yet. With all that said and off my chest I want to share a bit of a memoir of my mom, Betty Jane Deason Jennings. Somehow, with all that she did as a piano teacher and church organist, she managed to be very involved with our activities. She was always there. And though she taught a LOT of piano students, I never felt like she wasn't available. She was fun loving, ready to do anything and go anywhere at the drop of a hat. She would try anything within reason, even some water activities. Although she wasn't comfortable around water and she really didn't like to put her head under, she was always ready for adventure. When mom and dad would come for a visit, one of her most favorite things was to have Rachel and Hannah give her a manicure and pedicure. On one occasion, Rachel, who might have been 10 or 11 at the time, had been reading about homemade facials and masks in one of her magazines. She thought it would be a great idea to give grandma an oatmeal mask. Mom was all over that! So the girls got down to business. Within 15 minutes, grandma was one sticky mess! The girls had mixed oatmeal with honey and I don't know what else! Grandma was a good sport though and laughed it off. I wish I had a picture to share! From that point on it was a good joke and when they would come to visit the girls would ask her if she wanted them to do a mask. She would laugh and say, "No thanks!" She was an encourager and an instiller of positive, you-can-do-it thoughts. Where there's a will there's a way. She often lived by this motto. She would find a way. She always seemed to have a skip in her step. 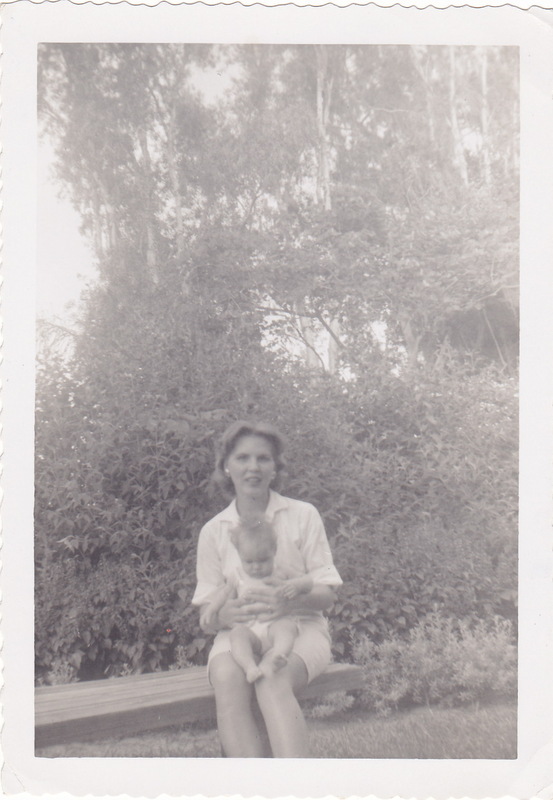 Mom was very loving and expressed her affection freely. 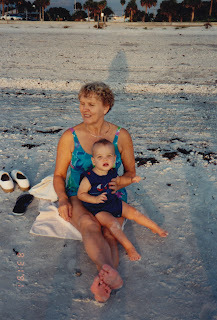 She loved her grandchildren and was always ready to jump right in by playing with them, reading to them, being involved in every way. She wanted to help out as much as possible. I think in some ways it was because she was concerned about me and my ability to cope with 5 kids. She would often tell me to go take a nap when she and dad would come to visit. I usually didn't feel the need but would sometimes oblige her anyway. She was great at delegating. She liked to get everybody busy doing a job (sometimes to the kid's chagrin :)) But with grandma and her "chop chop! ", the clothes got folded and put away, the kitchen got cleaned, and the house got straightened. 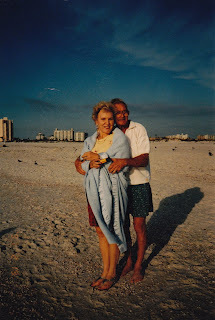 I can remember on one occasion in particular when she and dad had stayed with the kids while Marshall and I went on a trip, the kids seemed relieved that we were back so they could rest! But for the most part, she spoiled them good! I cannot remember my mom EVER arguing with my dad. If she didn't agree with him about something, it certainly didn't show. She was such an amazing example of loving submission. As a result, they had a very mutually loving, respecting, and considerate relationship. They were opposites in many ways. She was an extrovert, often the center and life of the party, my dad more of an introvert, enjoying the quiet and peace of home. They had a lot of fun together though. They would go on adventurous vacations like para-sailing, snow skiing, snow mobiling, camping, and hiking. ( I don't think they ever went on a safari though. ) Not to mention the many cruises they went on and countries they visited! 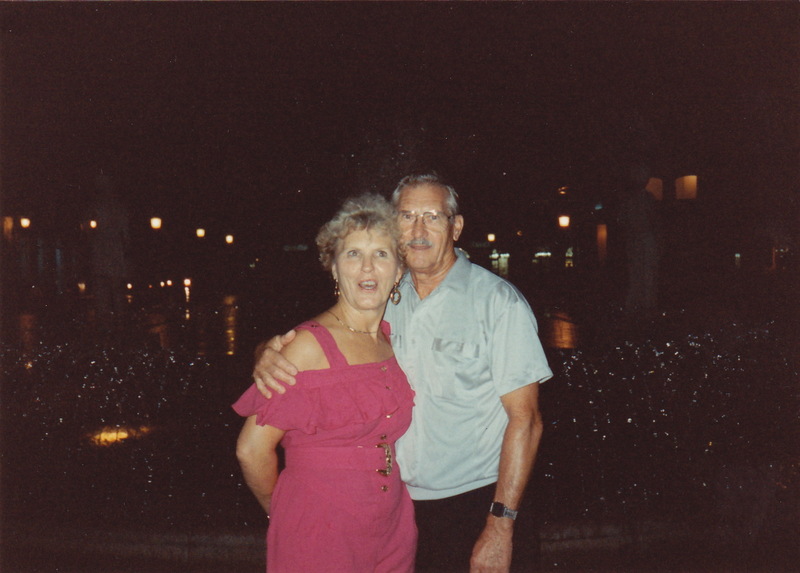 They loved dancing together. I thought they looked amazing! They loved square dancing too! When I was in high school the 3 of us joined a square dance club, The Shootin' Stars. 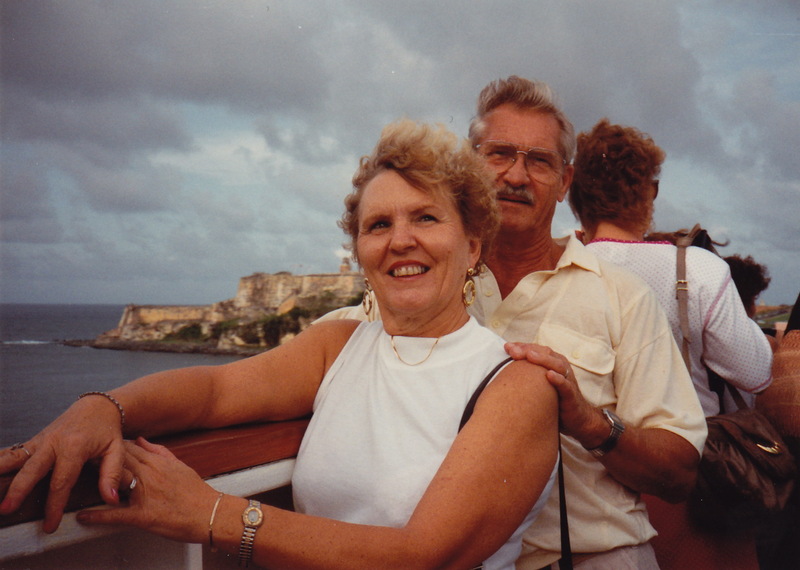 Mom and I shared dad as our partner since I didn't have one. That was so fun! They continued on for many years after I went away to college. She stored her petticoats in my old closet. When we would go to visit the kids had a blast playing with them and seeing how many they could put on at one time. Where do I even begin! Where does one start, when the person they are talking about is one of the most fantastic musicians they have ever known. Being a musician myself (but not near the caliber of her), I know a little something on the subject. 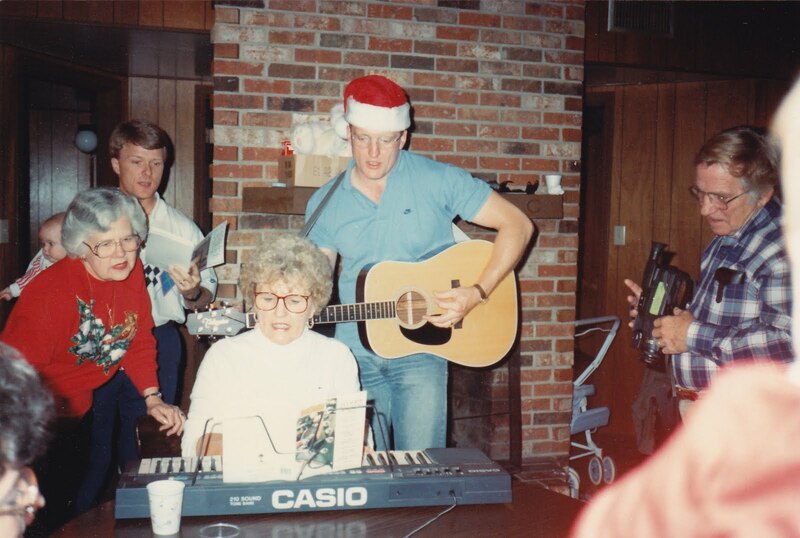 My mom truly had a PASSION for music. 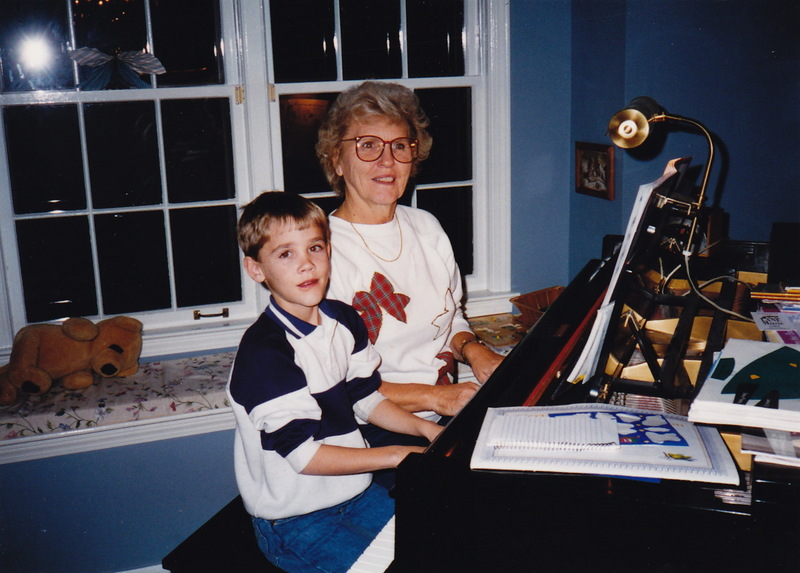 She started learning to play the piano at a very young age. My grandmother would scrape up the money every week to pay for her lessons. Being the youngest of 6 and her father being a mailman, that was quite a sacrifice on Mama Deason's part. (Maybe that's when she started her florist business.) One of the most recent stories she told me, about how she really got going with the piano, was when her brother, FP was starting a band. They needed a piano player. She begged him to let her play with them. Now she was very young and the baby sister. But after her pleading he finally told her that if she could learn the boogie woogie he would let her play with them. Of course he didn't expect her to be able to do it! But she outsmarted them all be being a pretty darn good boogie woogie player and brother FP had no choice but to let her play with them! From there she went on to learn music from all the great composers and would "Wow" everyone who heard her. She started teaching while still in high school and when she and dad got married and lived in an upstairs garage apartment, my dad got some men in town to help him move her grand piano up a flight of rickety outside stairs to their apartment! His description of that event reminds me of the Laurel and Hardy Piano Moving Movie! I can just see it now. Teaching was a wonderful career for her. I can remember times when she had 60 students! When I was in high school we were on split sessions. The 11th and 12th graders went from something insane like 6:30 - 12:00 and the 9th and 10th graders went from 1:00 - 5:30. That meant that she could feasibly teach all day long! And she did! Sometimes she would start at the crack of dawn. I remember the summers waking up to the same little Glover pieces almost every morning. But she loved it! And her students loved her! In fact, she was one of the most sought after teachers in the Tampa Bay area. She had many students who would win high honors and prestigious awards every year. I took lessons from one of her best friends. Mrs. Wright was a perfecter. I didn't have a large repertoire but I was taught to play my pieces almost flawless. Mom, on the other hand, taught her students to get through a lot of music. At the time, I thought Mrs. Wright was the better teacher for teaching perfection. But over the years I've come to realize that although she may not have been as much of an extreme perfectionist, my mom's students played well, played with heart, could sight read well (which is something I still struggle with) and had a pretty good repertoire under their belt. Over the years we played a lot of duets together. In fact, that was one of our favorite pastimes when we got together. She was very patient with me and my stumbling, and she would push me to keep going. We also played some piano/organ duets for church a few times, regretfully, not nearly enough. Mom went back to college when I went to college, to finish her degree since my dad had wisked her away in the middle of her college career to marry him. We were both majoring in music of course. During one college break probably my junior year, I came home to find that my mom's teacher had given her the same piece for her senior recital that my teacher had given me for my senior recital! Gardens In The Rain by Debussy. We couldn't believe it! We had the best time practicing together! Since she had 2 pianos, we could play at the same time. What fun! I had to memorize mine but she didn't have to memorize hers. So at her recital I had the honor of turning her pages. 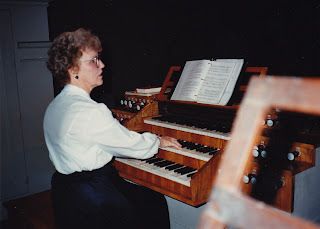 For as long as I can remember, my mom was the church organist. I don't ever remember feeling cheated by not having my mom sitting with us because that was a special time I had to sit with my dad every Sunday. 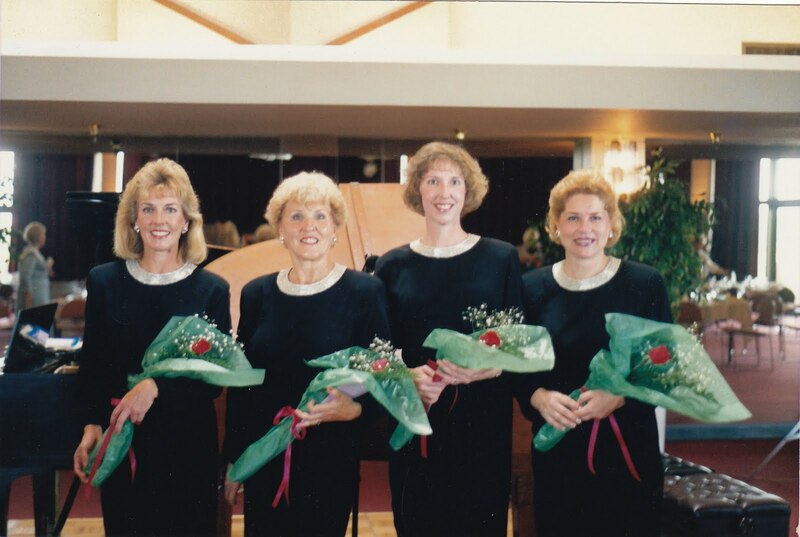 But I do remember being so out of breath racing to keep up with the hymn singing as mom raced through the hymns! If anyone ever complained about her playing that was probably it. She had such energy that it showed during the hymns. I was so proud that it was My mom at the organ. I have some funny stories about mom playing the organ! One of my favorite things to do as a child when church was over was to sit up on the bench with mom while she played the organ. I usually sat on the left side where the bass notes are. Without her noticing me, I would very sneakily press my foot on the lowest pedal of the organ. A very low and steady "Whaaaaaaaa" could be heard. She could not figure out where that sound was coming from! She would be trying to check the stops on the organ while still playing, pushing this, pulling that. Then, when she realized what I was doing she would smack my leg and cry out, "Good glory! Dayna! Stop that!" It never failed! I would get her every time. She was such a good sport about it though. One of her jobs as the church organist was to play for the weddings. Most were on Saturdays right in the middle of our family cookout and fun in the pool in the backyard . She didn't miss a "beat"! About 30 minutes before the wedding she would jump out of the pool and dash to the car. She kept her choir robe and wedding folder in the car for a quick getaway. Little did the bride and groom know that their organist was in her swimsuit under her robe! As soon as the wedding was over she would dash back home, throw off her robe and jump back in the pool. We always marveled at her ability to shift gears so easily. I always envied how mom could perform in front of ANY audience with such ease! Me, I would nearly throw up at the thought of having to play in front of someone, even now. As I got older I appreciated and marveled at her talents more. When friends or guests would come over I would say, "Mom play the Boogie Woogie!" or "Mom play the train!" which was a Chopin Polonaise. She had an amazing memory of her repertoire that she had learned many years ago. 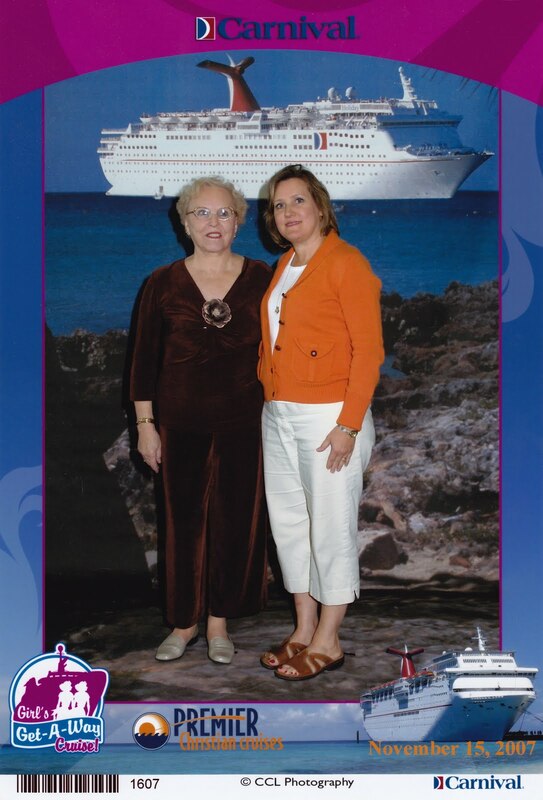 Our last trip together just the 2 of us was a cruise to Cozumel. I almost didn't go because there was so much going on at the time, but I am so glad I did. It was my first cruise! One evening we noticed a huge grand piano sitting open and out in a large hallway. I said, "Mom, go play the Boogie Woogie!" No prodding was necessary! She just hopped right on that piano bench and let er rip! Before long, a huge crowd had gathered around us grinning and swaying! On another occasion, all us girls went out for ice cream. Low and behold, there was an old upright piano in Ben and Jerry's! I bet that piano hadn't played such rip roarin boogie in ages! A large crowd of customers gathered there too and gave their applause. There were countless times when this very senario took place. 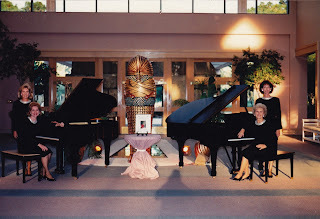 On a more professional platform, my mom played in many bands and piano quartets over the years. 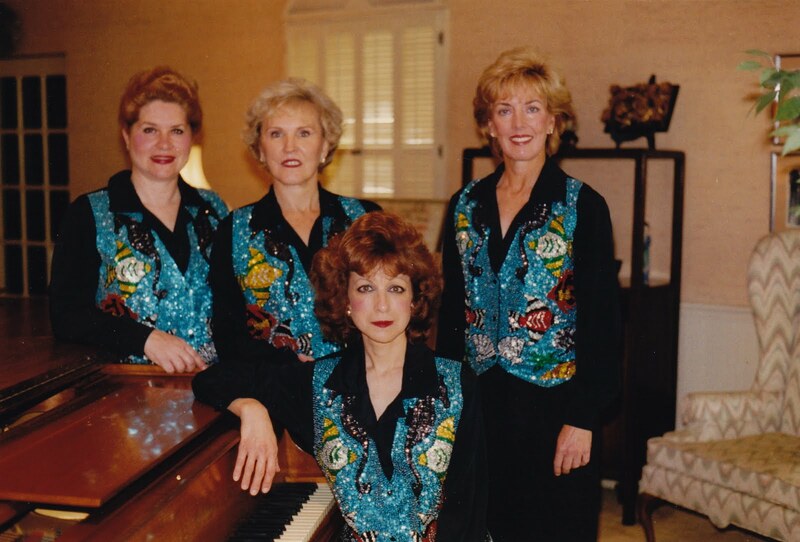 But probably the most professional was the Suncoast Piano Quartet in Tampa Bay, Florida. She and 3 other teachers performed together for several years. They played concerts for many benefits all over the state. They were quite amazing and glamorous with their matching outfits. I was so proud of her in all her professionalism. But probably most endearing in all her musical-ness was when she would play for Wanda and me or my friends and me while we danced all over the living room dressed in glittery costumes. Mom was absolutely stunning as a young woman. There is a picture of her when she was in high school that I would just gaze at for long periods of time thinking that she looked just like a movie star. She had such a natural beauty. She also loved her glitter and glitz! Here is a picture of her with a glitzy apple on our mom and daughter trip in New York. When we saw it we both knew which one of us should be in the picture! She loved wearing sequence and rhinestones even on her warmup suits! When the kids were little we'd all go to Sam's Club. When we walked down the clothing aisle and saw some glittery clothing I would ask them who they thought of when they saw it. They wouldn't hesitate! They always said, "Grandma!" I have in my bedroom one of her favorite pairs of shoes. A shinny gold pair of Keds tennis shoes! I'm sure I will keep them forever. Just before her quartet had a performance she would go and get her nails done. Can you guess what she would get embedded in her nails? That's right! Rhinestones! She would have them make eighth notes out of rhinestones! 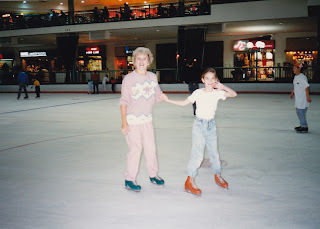 Not too long ago, mom did something she had wanted to do for a long time. She went and posed for glamour shots. They turned out absolutely beautiful! I have one around here but can't find it. I will upload it as soon as I do. 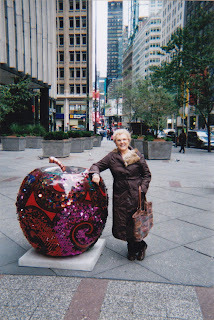 There are so many wonderful memories of my mom. Way too many to try to write here. But as I've written this post I've felt a supernatural peace and healing come over me. I hope you have enjoyed reading about her as much as I've enjoyed writing and remembering her. She will be forever missed. Thanks for posting this, Mom...it was so good to read the stories. I love you! What a wonderful story! What a grand lady! I thoroughly enjoyed all of it. God Bless. I loved reading this! I know there is just not anyone on this earth like one's mother- and that never changes through any stage of life. Sounds like you acquired a lot of her great qualities! 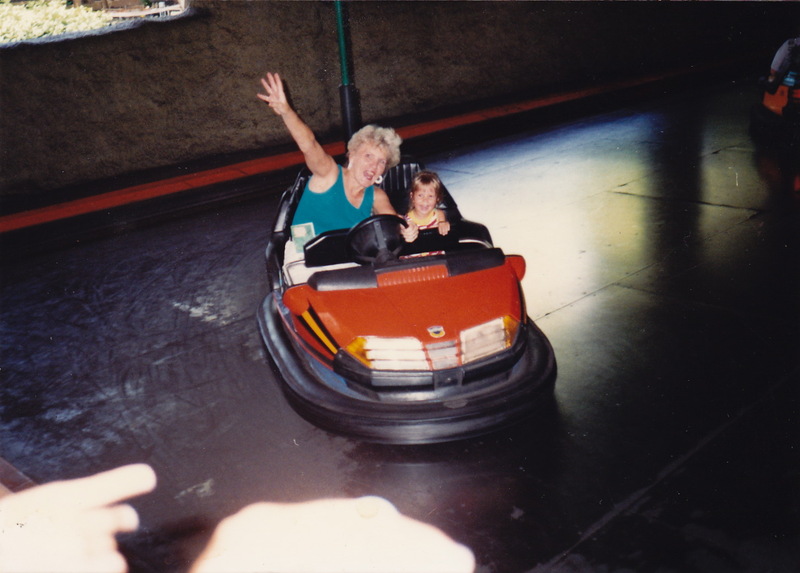 Anyway, I wanted to comment because I wanted to tell you, that I was only around her a couple of times, but I always loved it because I really felt like when I was, she was my grandma too. I still remember coming to your house with Hannah Grace when she was a baby and your mom was there and she just held and played with Hannah like she was her own grandbaby. What a sweet sweet lady and I know she is greatly missed- you didn't have to know her well to be able to see that she was a wonderful woman! My life is so full of God's blessings! We aren't without our struggles but we have a hope in us through our faith in Jesus Christ. I have 5 great kids, ages 18 - 26,one with special needs, a great son-in-law, 2 precious grandbabies and a loving husband. My desire with my blogs is to write about things important to me whether they be about family, faith, or business. I hope you enjoy!To read my full profile go to www.daynacamp.com . To read my blog inspiring caregivers and parents of special needs children you can go to www.gracetodayblog.com. To read my business blog you can go to www.inspirednetworkmarketer.com Thanks for visiting!